OA#163. Maude Zimmerman, Oswego Lake. 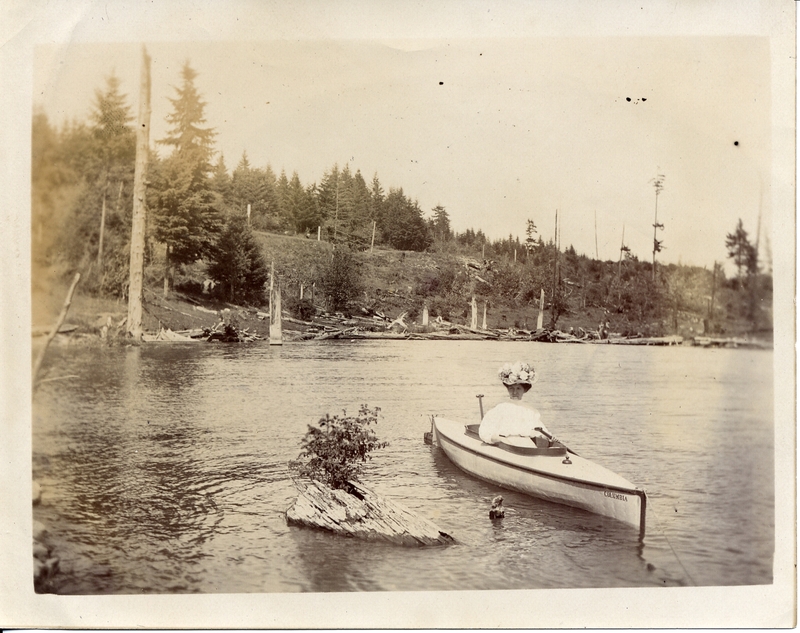 Same photo in library is labeled Lil Bickner on the lake. Bickner Family photo. Picture on back of this photo of two girls. Description Splattering on photo & faded areas. [on boat] Columbia. Transcription OA#163. Maude Zimmerman, Oswego Lake. Same photo in library is labeled Lil Bickner on the lake. Bickner Family photo. Picture on back of this photo of two girls.